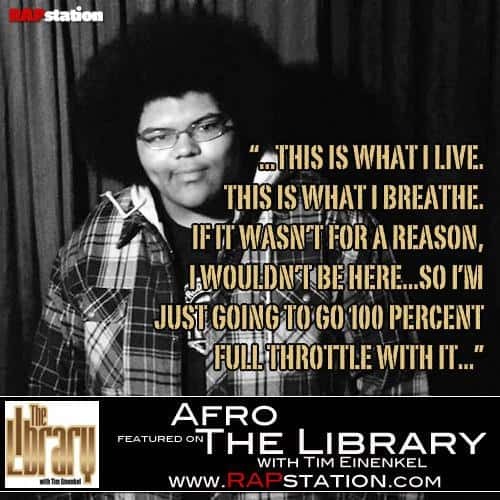 A-F-R-O has been cosigned by artists such as: Questlove, Talib Kweli, Queen Latifah, DJ Premier, Murs, Jean Grae, and many more. If you ask him who are his influences, he will give you a list of Golden Era Mcs. 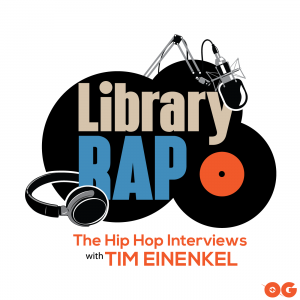 The much anticipated 18 year old A-F-R-O joins Tim on The Library this week to talk about working with RA the Rugged Man, Premo, his soon to be released debut album, why he loves to rhyme and why he's joined to the Golden Era of Hip Hop. Divine Styler: Too Old To Rap? When Are You Too Old to Do Anything?